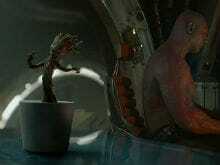 Guardians Of The Galaxy Vol 2 have retained Vin Diesel's voice for the character of Baby Groot in Hindi, Tamil and Telugu versions of the film. Yay! Actor Javier Bardem thinks Johnny Depp is very 'sensitive' and a 'man who cares about people'.